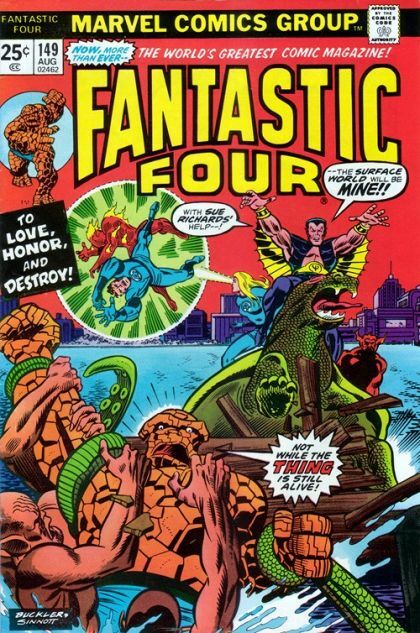 Reed leads most of the FF out to face Namor and battle over Sue, although Medusa stays behind. In the middle of the foray, the Thing talks to Sue about the situation, and helps her change her mind. Once the dust has settled and the fighting is over, the readers learn a little something about the friends and allies the FF have.